The scenic Potomac River acts as the boundary between Virginia and Washington, DC. The river is a tourist magnet with plenty of activities to accommodate them, from traditional, historical boat tours to canine cruises. Tours depart from Georgetown, the southwest waterfront, Alexandria, and Mount Vernon. Docked in Georgetown, the cruise, dubbed Monuments-By-Midnight, offers nighttime boat rides that gracefully float past the National Mall. 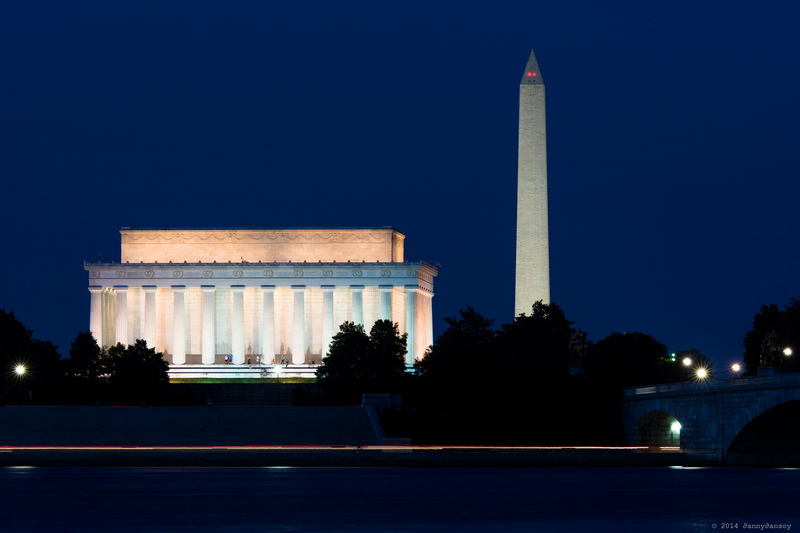 Admire the monuments’ radiating glow against the night sky while nestled on a boat in the Potomac. The company also offers happy-hour cruises every Friday and Saturday as well as relaxing fall foliage cruises, which come complete with complimentary hot apple cider. Potomac River Cruises boasts an impressive fleet of eight distinctive vessels, which range from a sternwheeler (one of just a few still operating in the world) to a pirate ship. They travel far and wide along the Potomac, reaching far beyond the usual National Mall cruise route — sightseeing tours expand to Mount Vernon (George Washington’s home), Alexandria, and even southeast to Nationals Stadium on the Baseball Boat. There’s also a canine cruise where all four-legged friends ride for free. 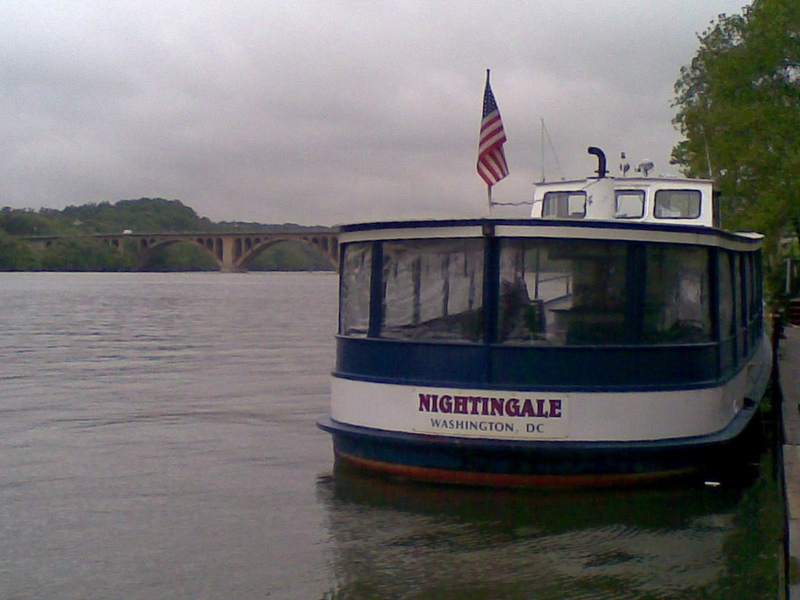 A narrated, historical tour can be had aboard the vessel The Nightingale. A colonial ambiance is matched by the tour’s sights: Jefferson Memorial, Lincoln Memorial, Washington Monument, and other landmarks memorializing the Founding Fathers. Capitol River Cruises also offers charter boats for crab fishing; rent a fishing boat for your party and catch crabs straight from the Potomac, all while sipping complimentary beer, of course. Experience the ultimate tour of DC by dividing your time evenly between water and land. 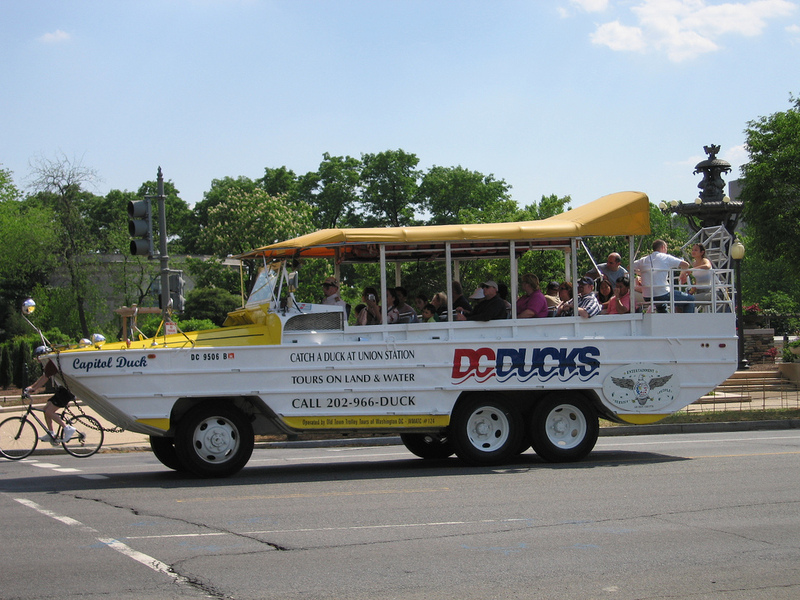 The convertible bus/ boat, a tourist classic in urban cities, will drive you around the District’s streets; eventually, the vehicle will propel itself straight into the Potomac River. It waddles around land and floats in water — yes, just like a duck. Tour guides also provide duck-shaped whistles that let you quack like one, too, much to the chagrin of drivers. It’s a bit cheesy, but hey, you’re on vacation. The luxury option on this list offers a fine-dining experience that promises smooth sailing ahead. A seat on the elegant dinnertime cruise comes complete with a four-course meal, live music, and a modern, sleek design of glass-paneling for sweeping 360-degree views of the Potomac. Average tickets cost approximately $100 per person and make for the ideal romantic evening.